Excel’s Component Picket System is very easy to handle as the pieces are all separate, not in large sections. This system allows for greater flexibility during installation, as it can be cut to variety of different angles right at the job site, to account for any project changes. 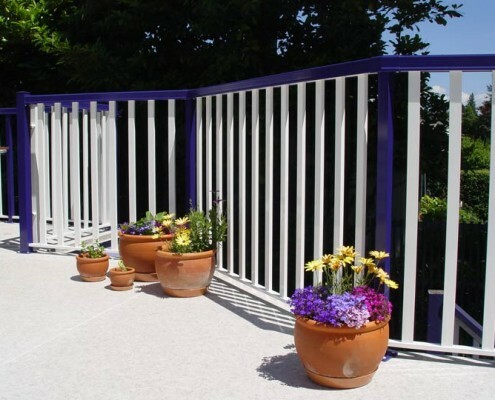 This system also provides the ability to mix and match colors, for example white top and bottom railing with colored pickets. The NEW Park Rail Top Rail provides a look as strong as its performance. Now you can have a Continuous Top Rail look while using up to a 3″ square post. The Colonial style Heritage Top Rail is a one-piece top rail that serves as an attractive addition to Excell’s extensive line of profile options. View the Panel, Picket and Post Styles that can be combined with Excell’s Picket railing systems. Excell Welded Picket Railing Systems are engineered to meet or exceed National Building Codes (NBC in Canada and IBC in the USA) and can be used in virtually any residential, multi-residential or commercial application. 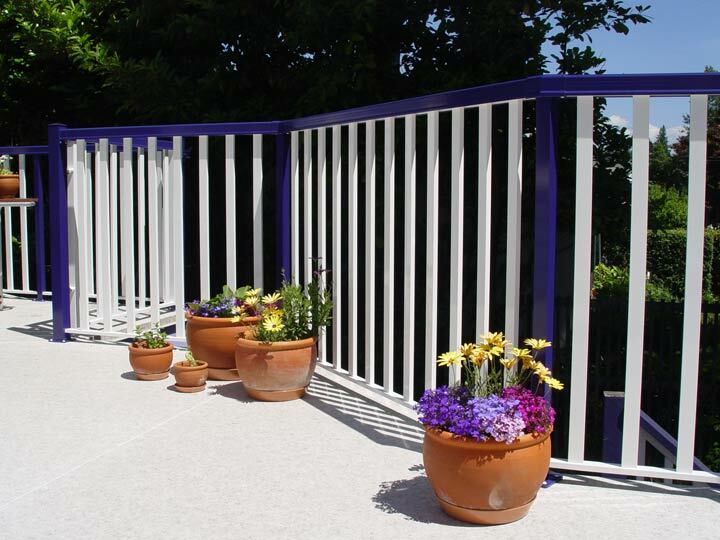 Click to view our image showcase for more pictures and details about Excell Picket Railings.